January usually has us fantasizing about island vacations and warmer climates as we trudge through the snow and ice to get to work and school. While some just dream about warmer temperatures, there are a lucky few – affectionately known as snowbirds – who actually get a chance to escape the cold every winter. Here’s a look at rentals in some of the milder-climate cities where snowbirds choose to fly south for the winter. 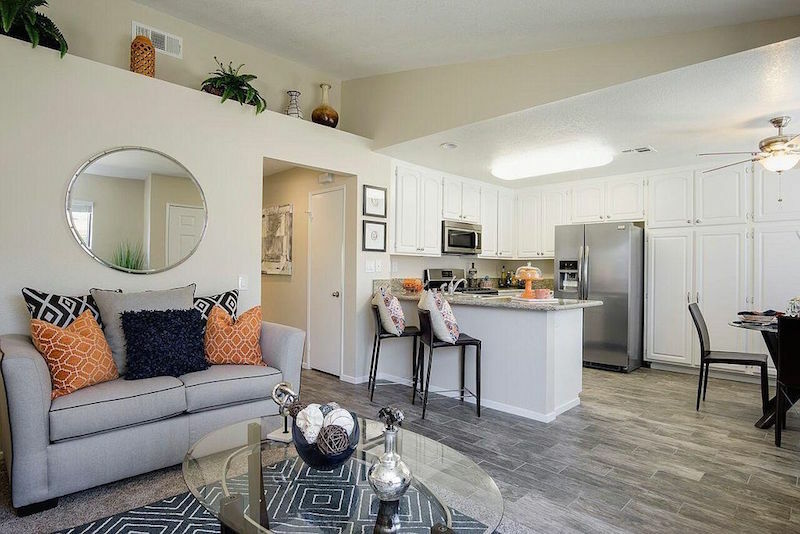 This 2-bedroom, 2-bath apartment in temperate Phoenix has nine-foot ceilings, distressed vinyl flooring in the living spaces, and a large, updated kitchen with granite countertops and stainless steel appliances. The resort-like community also features a large pool, spa, poolside cabanas, and picturesque views of the nearby mountains. The apartment complex is also located near some world-class golf courses, which you can still take advantage of in January. 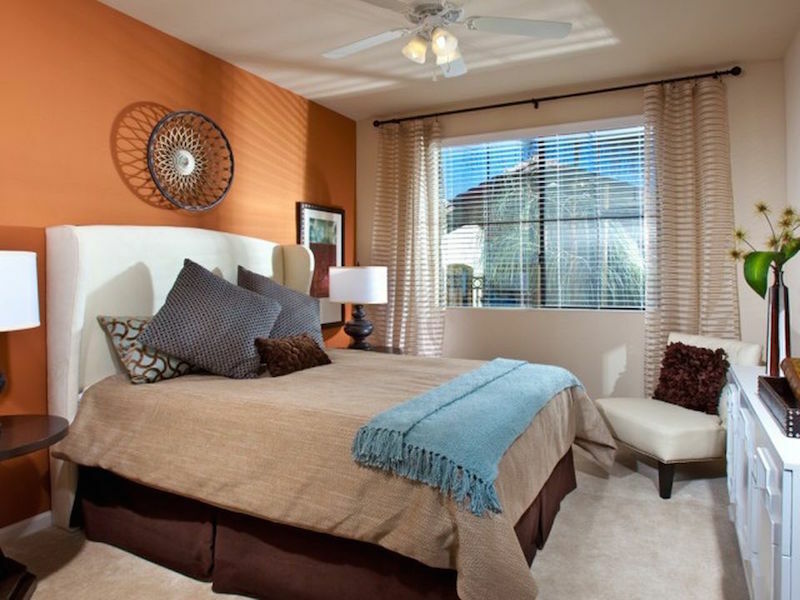 See more rentals in Phoenix. 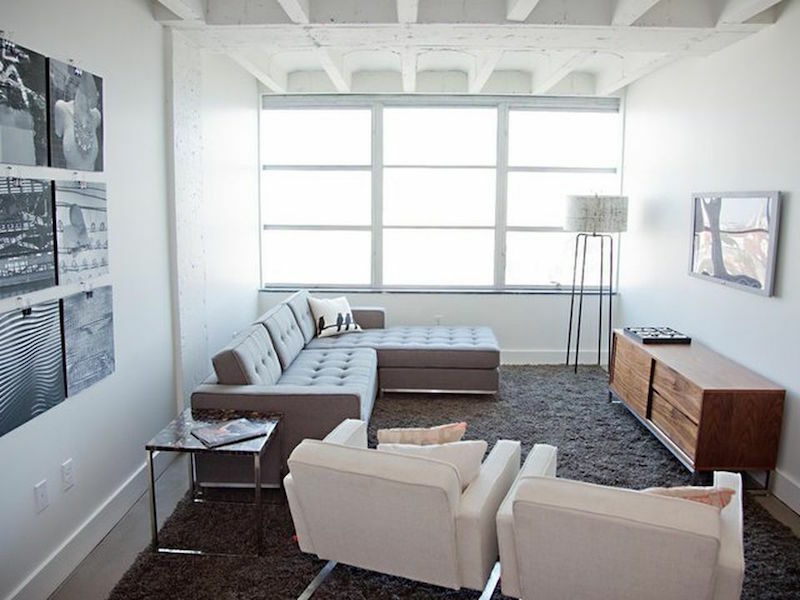 If you’re flying south for the winter, this 2-bed, 2-bath apartment isn’t a bad place to perch. Located just a short drive from the Atlantic, the apartment complex has tons of amenities like a rooftop deck with a fire pit, a large pool, and a game room. 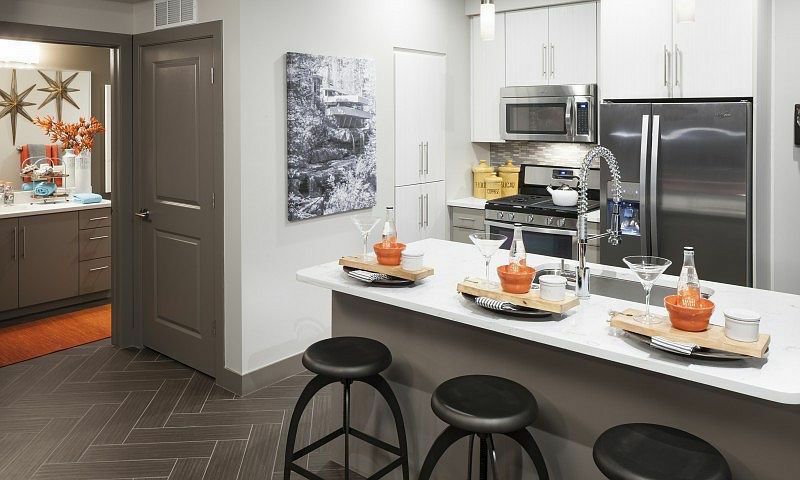 The amenities continue inside the apartment, which has an open-concept living area as well as large and luxurious bathrooms with modern tiling and countertops. Find a rental in Jacksonville. 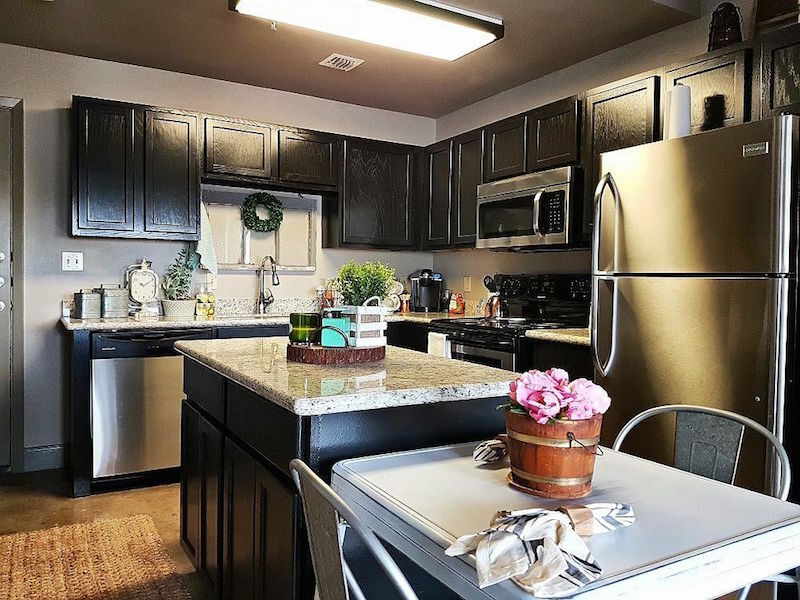 With humid summers and mild winters, Texas is a great place to ride out some of the cooler weather in the north – especially in this 2-bed, 2-bath apartment in North San Antonio. 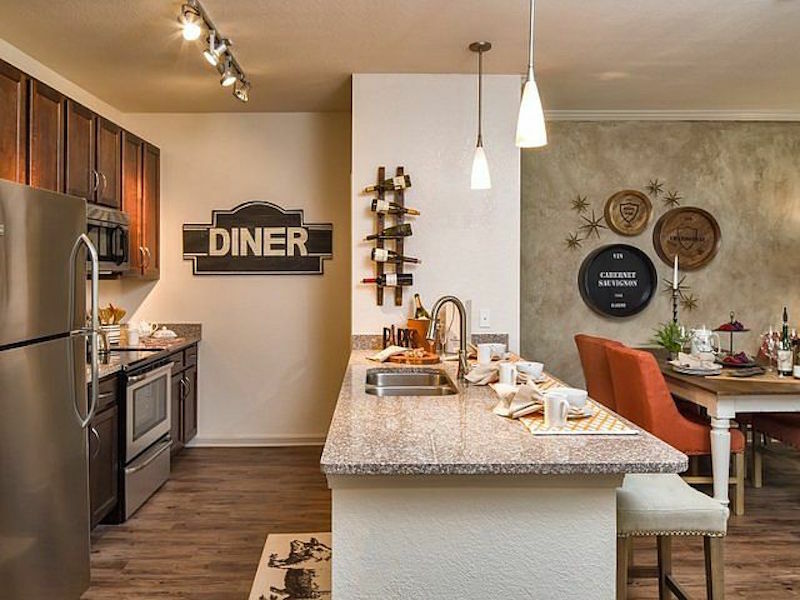 The apartment complex was built in 2014, but has a glamorous vintage feel throughout the clubhouse and office. The apartment itself has elegant features like a shimmery kitchen backsplash, granite countertops, and three French doors that lead out to the patio in the open-concept living space. Look for your next rental in San Antonio. The Coachella Valley has long been an escape from harsh climates, most likely due to the fact that it has one of the warmest winters in the entire country. Relax and forget that snow even exists in this light and bright 2-bed, 2-bath offering unbelievable views of the palm trees and the mountains. White cabinets in the kitchen, updated appliances, and a spacious master bedroom make this the perfect winter retreat. Search for more rentals in Palm Desert. Las Vegas offers the obvious appeal of its bustling nightlife, but it’s also a great place to enjoy mild temperatures in the winter. This 2-bed, 1-bath apartment is located near hiking trails and shopping, and provides amazing mountain views. 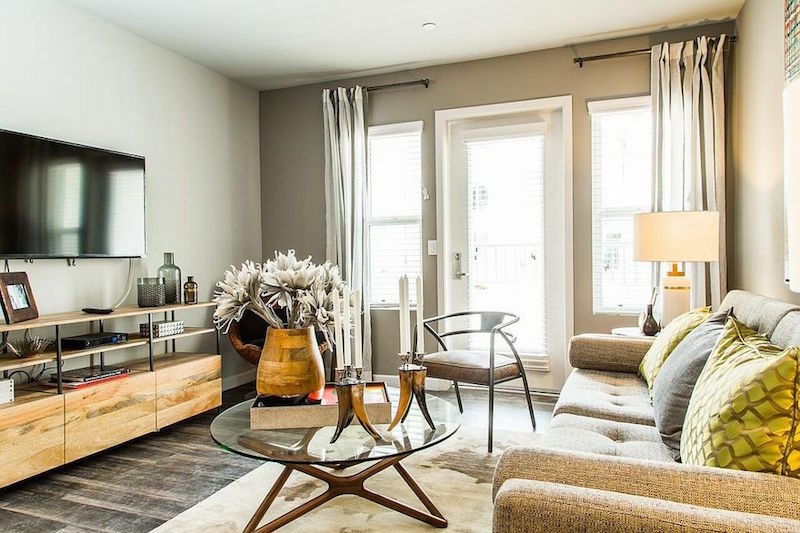 Inside, the apartment features large bedrooms with plush new carpet, and a modern kitchen that opens up to a cozy living room with patio access. Check out more rentals in Las Vegas. This “55 or better” community near the Gulf of Mexico is a great spot to warm up during the winter. Luxurious touches abound in this 2-bed, 2-bath apartment, including granite countertops, a garden-style tub in the bathroom, and large windows that let the Florida sunshine in. 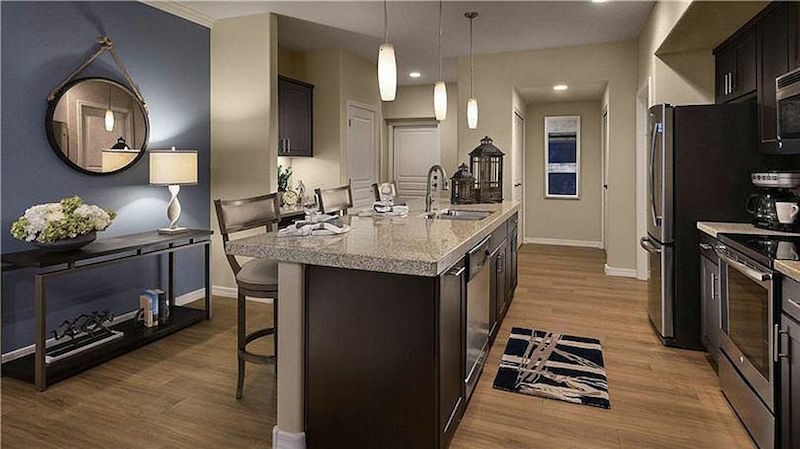 The community is full of amenities like a heated pool with lap lanes, an arts and crafts room, and a small theater room. See more rentals in New Port Richey. Enjoy the vintage vibes of this 2-bed, 2-bath apartment with modern interiors. This mid-century inspired apartment complex is brand new, and located near the heart of the city and the arts district. A rooftop lounge, a pet-washing station, and a swanky pool all await you this winter. 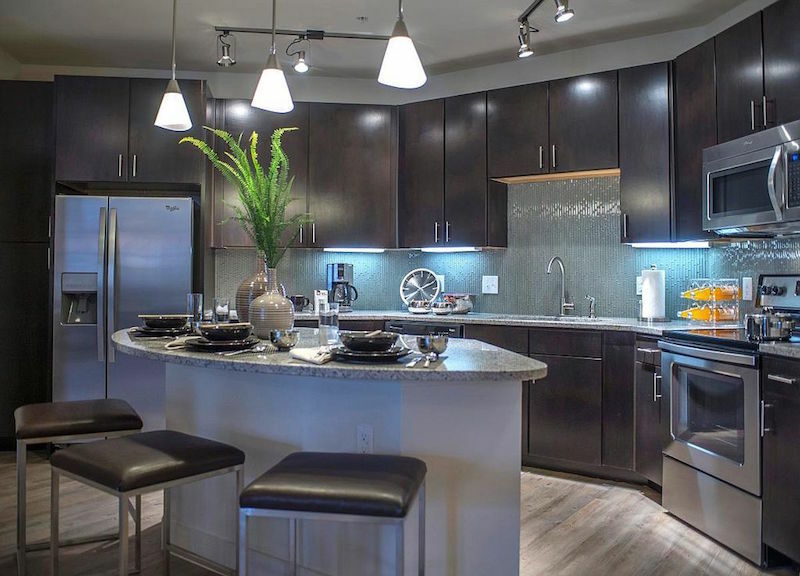 Find a rental home in Scottsdale. Texas’ Gulf Coast is the perfect spot to hide out in the winter, thanks to its beautiful views and mild temperatures. This large 2-bed, 2-bath vintage loft in downtown Corpus Christi is in a building that’s on the National Register of Historic Places, and features industrial touches like concrete floors and exposed ductwork. Scope out more rentals in Corpus Christi. Surf, sand, and mild winters await you at this 1-bed, 1-bath apartment in San Diego. The apartment complex is in a very walkable and desirable location downtown. Small luxuries like quartz countertops, an ornate custom tile backsplash, and a garden-style bathtub make this apartment a glamorous winter haven. Host guests at the community’s clubhouse, or relax in the saltwater pool or jetted hot tub at the end of a long day. Check out rentals in San Diego. Surrounded by the charm of the city, this Savannah apartment is the perfect place to spend the winter soaking up the Southern sunshine. 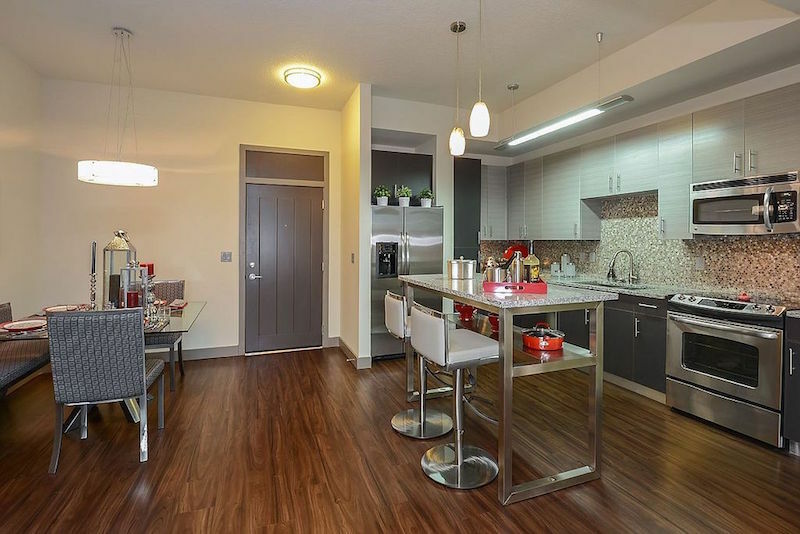 This 2-bed, 1-bath apartment boasts large windows that fill the space with natural light, rainfall showerheads in the walk-in showers, and porcelain sinks. The apartment community offers its residents bike storage, and hosts monthly planned activities to help you get to know your neighbors. Find a rental in Savannah. Ready to rent? Check out our Renters Guide for tips and resources.